Following a car accident, everyone involved is under a lot of stress. Once confusion kicks in, the whole situation can become chaotic in a matter of seconds. It is important to remain calm and take several deep breaths before you leave your vehicle and start dealing with reality. 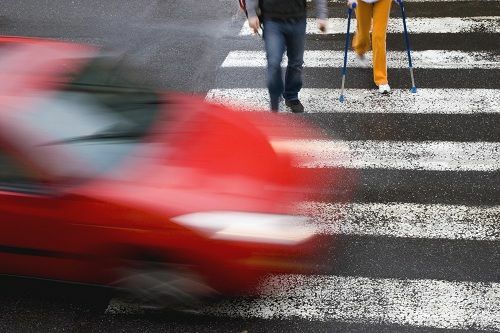 If you are a driver who hit a pedestrian, you should know that you may have the right to file an injury claim, even if you caused the accident. The fault is determined through a thorough investigation, and once conducted by professionals, it can be proven that you were not completely at fault. Shared fault can signify that you have the right to recover some of your injuries. Here is what you can do after a pedestrian accident for which you believe to be at fault. Avoid small talk and any unnecessary conversations that will put additional stress on the injured pedestrian. Never admit guilt or say that “you are sorry” or “feeling guilty”. These things can and will reduce your chances of obtaining any compensation for your injuries. It is important to get legal help as quickly as possible. If you do not have an attorney on speed dial, consult with our Fort Lauderdale Pedestrian Accident Attorneys. Schedule your free consultation a receive a free case evaluation. Only once the investigation is conducted by professionals will you know exactly how responsible you are for causing the accident. If you are partially responsible (not 100 percent at fault), you can gain compensation based on the percentage of the other party’s fault. This means that you can still obtain some compensation for your medical bills, and maybe even for your lost wages as you surely missed some work since the accident. Once you are approached by the police and later by the insurance adjusters, you have to be careful about the things you say. Under no circumstance should you ever say that you are “guilty” or admit any type of guilt, even if you strongly believe so. By admitting guilt, you accept full responsibility for everything that happened; this means that there will not be any investigation and you will take full legal responsibility for everything that happened. Instead, speak with Pedestrian Accident Attorneys in Fort Lauderdale and let them deal with the insurance company or anyone else who approaches you. They will help investigate the case and determine the percentage of your fault. If there is a chance to recover any compensation for your injuries, our attorneys will help you obtain it in a timely manner.